We have services on all major holidays including: Rosh Hashanah, Yom Kippur, Sukkot, Shemini Atzeret, Simchat Torah, Chanukah, a Shabbat-Tu B’Shevat Seder, Purim, Pesach, Shavuot, and Tisha B'Av. Please check our Events page for specific dates/time of Holiday services and programs, and also see a list of the Jewish Holidays at Hebcal.com for dates and additional reference information. We invite you to join us for the High Holy Days. All are welcome. Our rabbi and a cantorial intern leading services. Musicians from the community accompanying and/or performing holidays themed works. Free Community Service on the second night of Rosh Hashanah. Tashlich at the Hudson River after the service on the Second Day of Rosh Hashanah. A study session on Yom Kippur between the morning and afternoon services. A children’s program, including children’s services, on both days of Rosh Hashanah and on Yom Kippur, in the mornings. as we embark on a new and meaningful year together. 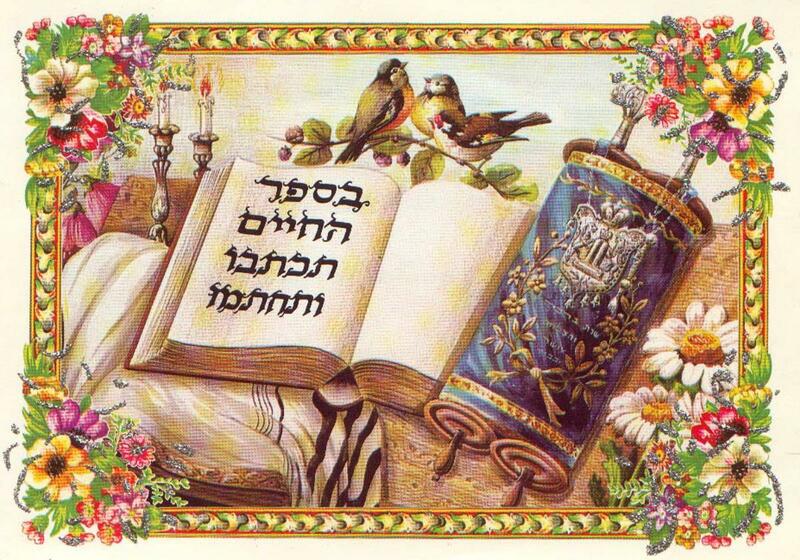 Above text in Hebrew: "B'Sefer ha-Chaim Tikatevu v'Techatemu", English Translation: "In the Book of Life may you be written and inscribed", a traditional greeting for the High Holidays. Join us on Sukkot for a Shabbat Sukkot Potluck Dinner in the Sukkah, in addition to services on Erev Sukkot and the first day of Sukkot. September/October time frame, beginning two weeks after the first day of Rosh Ha-Shanah. Shemini Atzeret, meaning the "eighth day of assembly", is the day immediately following the seventh day of Sukkot. We celebrate with a morning service, a Torah reading, and say Yizkor. On Simchat Torah (the next day) we Sing and Dance with all our Torahs. Important schedule notice: When Shemini Atzeret falls on a Thursday, our Simchat Torah celebration is moved to Friday evening (Shabbat), rather than on Thursday evening (the traditional practice.) Please check our Events page each year to make sure! September/October time frame, right after Sukkot. 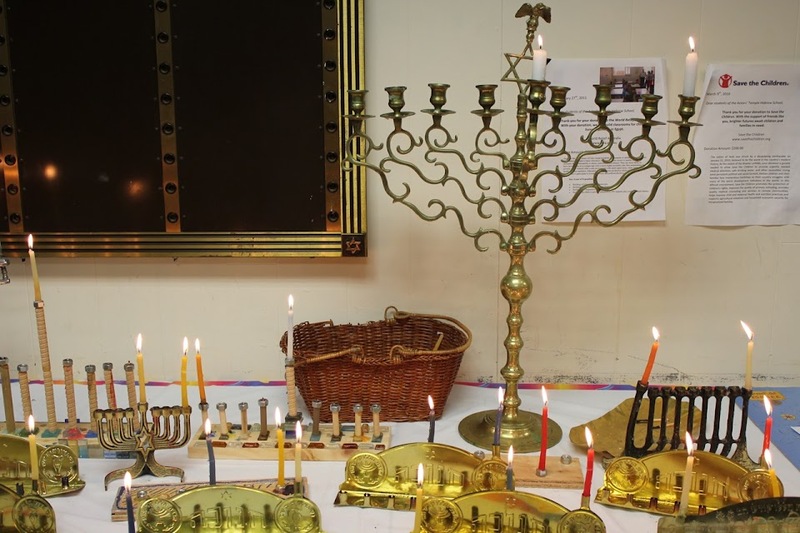 Come join us at The Actors’ Temple for our Shabbat Chanukah Potluck Latke Party & Open Mike, on Shabbat Chanukah. Please bring a dairy dish to share. Latkes and applesauce provided by us; then a Shabbat Service with music and song, conducted by Rabbi Jill Hausman. We will sing, celebrate, pray, eat and sing some more! Accompanist provided. Bring yourself and your talents. Stay for coffee, dessert, and conversation. Food for body and soul! Come celebrate Shabbat/Tu B’Shevat, the New Year of the Trees, at The Actors’ Temple Kabbalistic Seder, with Music, Singing, and Dance. Wine will flow and we will sample the native fruits of Israel as we raise ourselves through the Four Worlds. A Vegetarian Potluck Dinner to follow. Please bring a dairy/.vegetarian dish to share. Free of Charge. All are invited! Purim at The Actors’ Temple is a very special celebration. An Original Spiel, written and performed by professional actors and comedians follows our Service and Megillah reading. Not to be missed! We, at The Actors’ Temple, invite you to join us and thousands of Jews who come together to eat, drink, relax, sing, dance, enjoy, debate, and celebrate at the annual Shabbat Across America and Canada. Early to mid March time frame, before or after Purim, depending on the year. The Actors’ Temple invites you to a delicious and spiritual Community Second Passover Seder, a catered dinner and full seder held in our sanctuary, conducted by Rabbi Jill Hausman. The announcement of our Passover Seder. A link to the scrumptious dairy/fish/vegetable dinner menu. A link to download a Seder reservation form, or to buy online. The schedule of Passover Morning Services on the first and seventh days of Pesach. Yizkor is said on the seventh day. Please join us for Erev Shavuot: a Service and Study Session, along with a dairy Oneg featuring Rabbi Jill’s Blintze Souffle! We assemble again for the Shavuot morning service, Torah reading, Hallel, and Yizkor, on the first day of Shavuot. We commemorate the destruction of the Temple with a service of remembrance and a Special Audio-Visual Program each year.